In Simple Finance, Management accounting deals with Controlling and Enterprise Controlling modules. 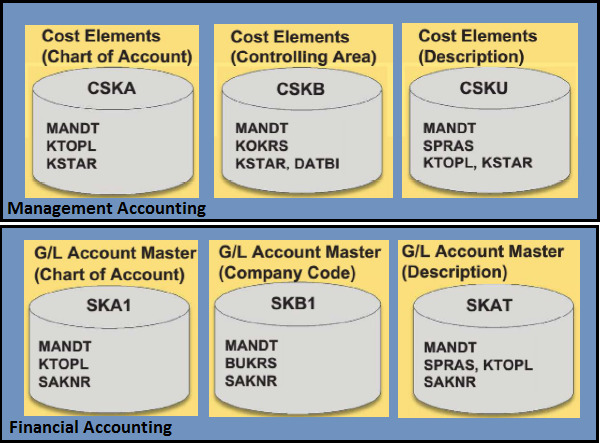 Financial Accounting deals with G/L Account Master – Chart of Account, Company Code; however, Management Accounting includes Cost Elements under Controlling Area. Following figure brings out the different between Management Accounting and Financial Accounting. Actual data of COEP value type – 04 and 11 are stored in ACDOCA table. Required actual data for long running orders COSP_BAK, COSS_BAK is stored in ACDOCA table. You have the compatibility views V_<Tablename> provided to reproduce old structures. With the use of views V_<Tablename>, you can still access the data in old tables. You have the value types other than ‘04′ and ‘11′ are still stored in COEP, COSP_BAK, COSS_BAK. 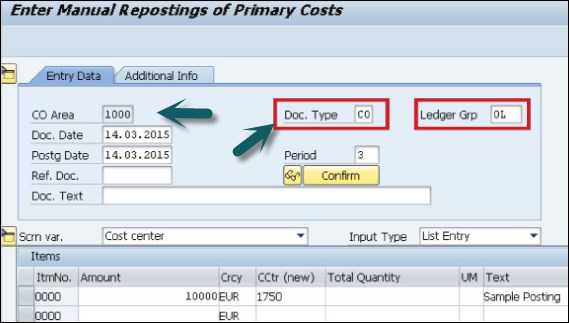 With the use of SAP Simple Finance, controlling processes are enabled to post into Ledger groups and you can also specify the document type. In SAP Simple Finance, on user interface it is enabled for KB11N, KB41N, and KB15N.